Different colors have different effects on people. You can keep calm when you are surrounded by cool colors. These colors are deemed antiseptic, impersonal and cold. And yet they are nurturing as well as comforting. What are your reactions when you see greens, blues, whites, silvers and grays? These are just some of the cool colors you see around you, naturally and artificially. These colors tend to be overpowered by warmer and bolder colors such as orange or red. Art students are taught this – the relationship of colors and its effect on viewers and overall appeal of a painting or a photograph. After all, art is about colors, color combinations or the lack of it. In art, you see a reflection of the colors found in nature, just used in different modes of expression. Blue, in nature is associated with sky and water, while green is for trees, grass and most plant life. These two colors are the sustaining pair, which when combined forms several watery color palettes that already gives a sense of Zen-like calm. If the color palette becomes too cool, add heat to it by a spot of warm colors such as orange or red. Warmth can also be achieved with the addition of deeper blues and greens plus red. 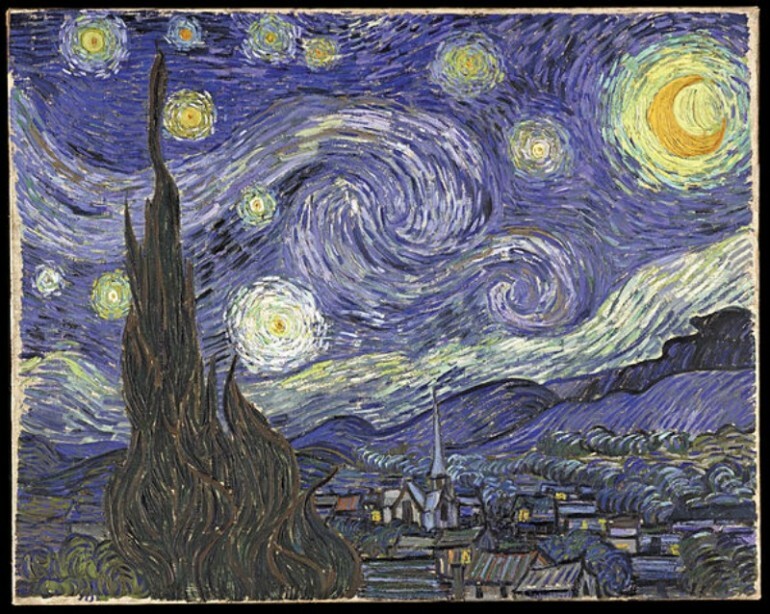 One very good example of this is Vincent Van Gogh’s classic painting, Starry, Starry Night. The swirls of the clouds and the yellow dots of the stars, make the painting alive. There’s movement. There’s life. The night is bright with the stars and the glowing crescent moon. Yet you can feel the calm in the village. The village (and the people) in it are secure. The night is undisturbed. The clever use of blue in the painting denotes coolness and calmness. 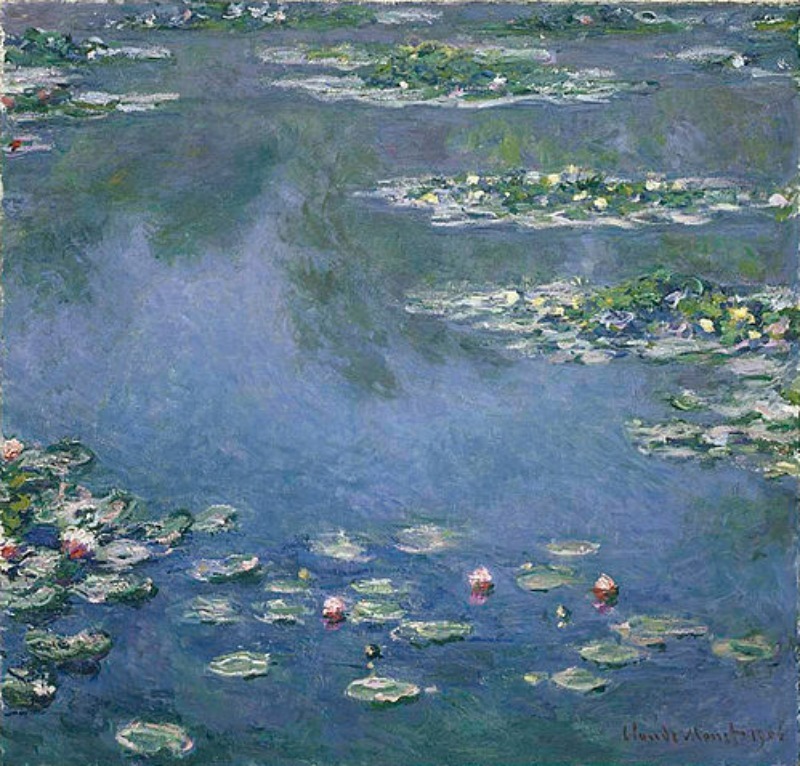 You get that same feeling of calmness and coolness when you view the paintings of Impressionist master, Claude Monet, particularly those belonging to his Water Lilies series as well as his painting, Morning on the Seine 2, where the dominant colors are blues and greens. The mind and body are affected by a cycle of changing colors in life’s different stages. Each individual, including children, demonstrate their like or dislike of a color or colors. Educationalist Rudolph Steiner posted that particular colors surround people and that these colors have objective effect and spiritual influence on a person’s mental well-being, physical health and emotional life. This belief of Steiner’s was put forward more than one hundred years ago. Followers of this philosophy introduced this to their networks of communities and schools. Up to this day, you see children in kindergarten levels surrounded by architectural forms with rounded edges and soft pastel color while older children between the ages of 7 and 10 are in learning areas with stronger and more vibrant colors. Children from age 10 up to their teenage years are usually in learning areas with soft blues and greens, which are believed to be colors that are less distracting to their mental concentration. Soft tones are used for babies’ rooms to keep them settled and calm and to induce sleep and rest. For older children and adults, green with a blue base is suitable for rooms facing north or west for a cooling effect. An overactive child will feel calmer in a room decorated in blue. Comforting colors on the other hand include lavender, pale almond, peach and pink. Blue-greens and creamy yellows are suitable for learning and study areas, while both sides of the brain are said to be opened by violet. Variety in colors, in cool and warm hues keep cognitive functions and interest in the world alive in older people. In life and in art, colors make a great impact. Colors have a psychological effect. Blue and green are used when you want to achieve a calming and peaceful environment. These cool colors are restful. Scientifically speaking, the retina focuses directly on the color green, which minimizes the stress on the muscles of the eyes. Blue is said to lower blood pressure and decrease respiration. Now you know that if you cannot paint your room blue or green, you can find art pieces and other decorative items that are predominantly done in cool colors.